Bill E. Burk's Elvis World goes full color! Bill Burk's long running quarterly magazine, now entering its 20th year of publication, has gone "full color" with issue #76. 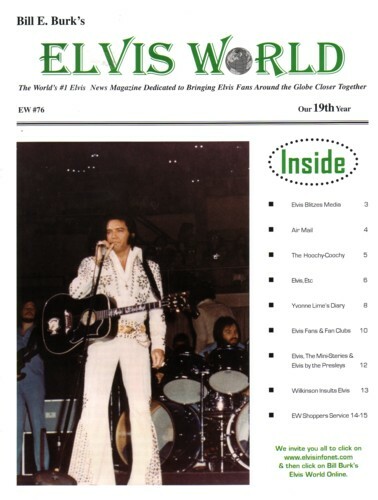 Elvis World is well respected for its inside news and great articles from a man who not only knew Elvis as a friend but who has written probably more inches of news print about The King than anyone else in history. Each issue is cram packed with the latest news, and rare photos.